She went to Purdue, he went to Butler, but Rachel & Kyle’s mutual passion for medicine brought them together. 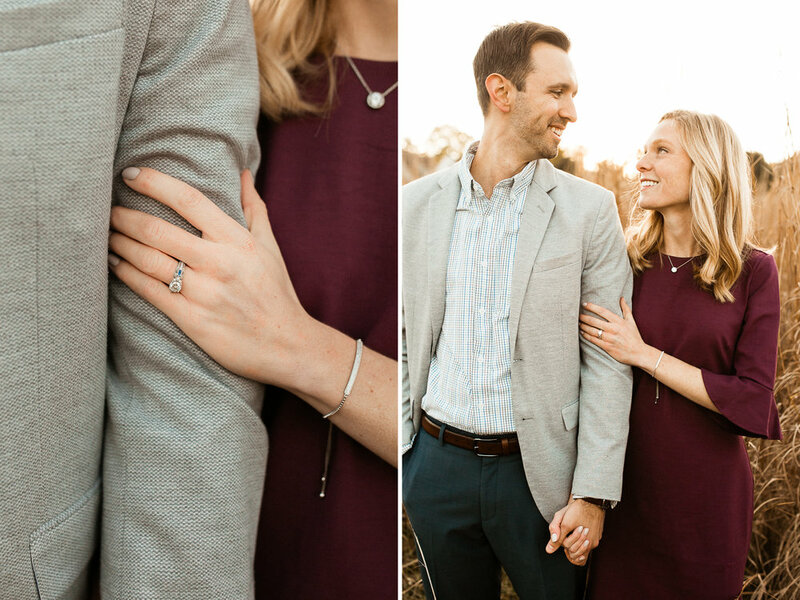 These two lovebirds met during a post-grad fellowship after pharmacy school and have been inseparable ever since. This past summer, on a trip to Florida, Kyle invited Rachel to go for a walk on the beach. Before she knew it, Kyle was down on one knee holding a custom designed ring with heirloom sapphires. He asked Rachel to spend forever with him and of course she said YES! I absolutely loved getting to know Rachel & Kyle during their charming downtown Zionsville engagement session and I could not be more excited for their upcoming wedding this fall!